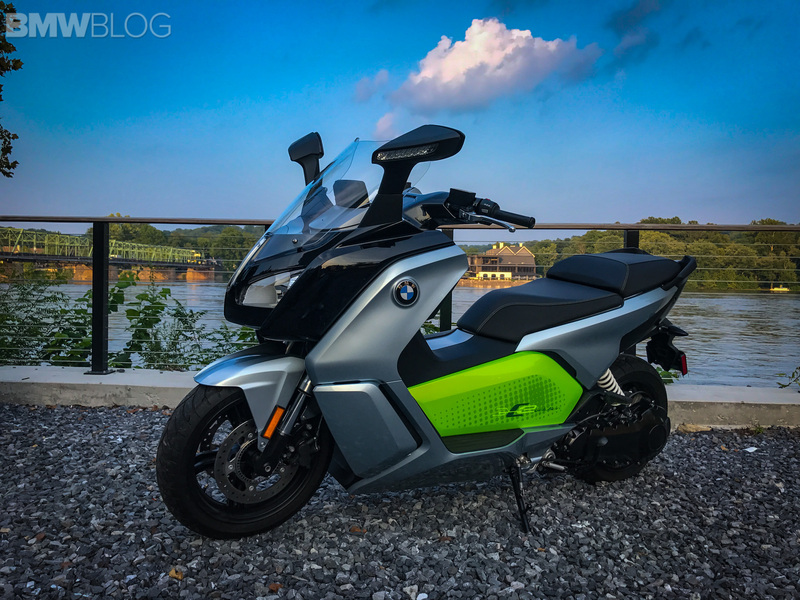 We ride and review the BMW Motorrad C Evolution Scooter which is finally making its way to American shores. Inevitable. We all know that the electric revolution that is now rapidly coming to the transportation sector is unavoidable. Resistance is futile, quite frankly. However, the conversation is usually framed within the context of four wheeled vehicles. 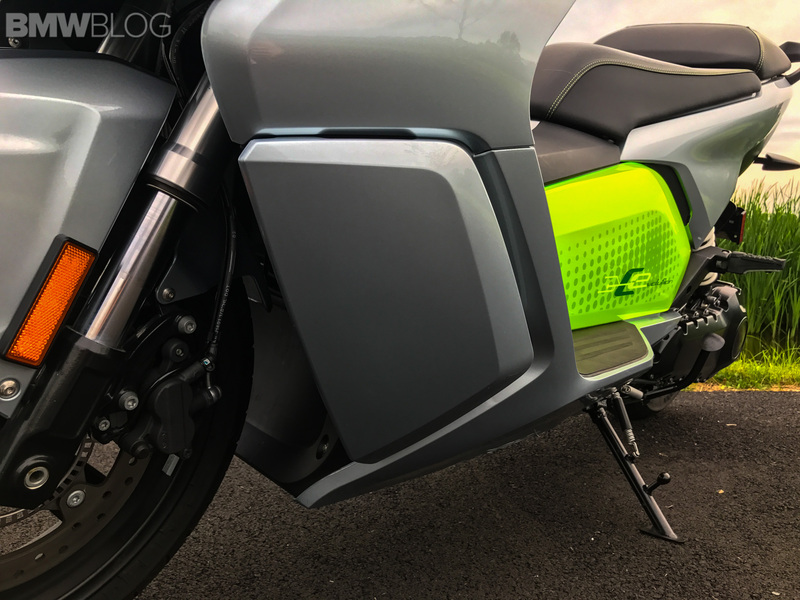 Little emphasis has been placed on electrifying two wheeled machines. Though, a few companies have waded into these largely uncharted waters, both established manufacturers and new entrants. 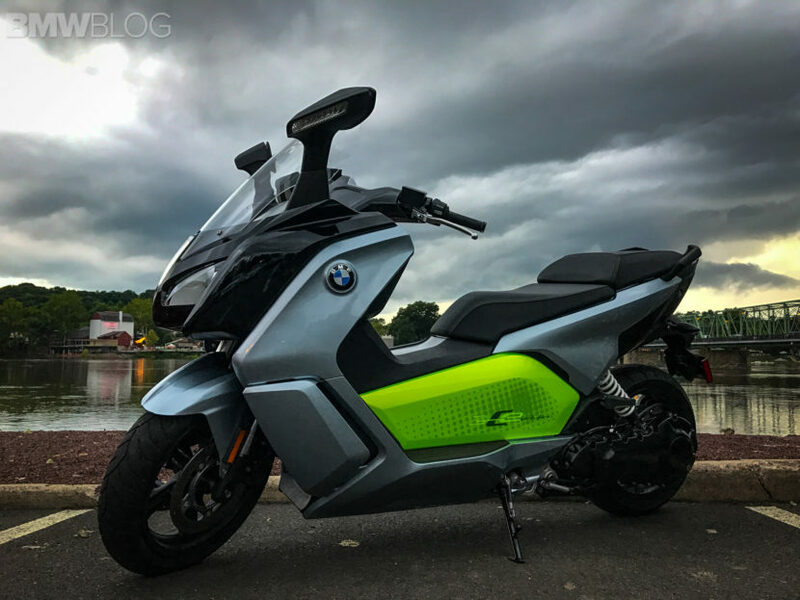 Being that BMW Motorrad is the forward looking company that it is, they actually introduced their fully electric maxi-scooter, the C Evolution, back in 2014. Now, after 4 years and many significant upgrades, most notably an upgraded battery, the C Evolution is finally making its way to American shores. I’d never before been so excited by the prospect of riding a scooter, truthfully. It’d been many years since I’d last done so. Partly because I thoroughly enjoy shifting through the gears myself, and most scooters are automatic. I’d be remiss if I didn’t acknowledge that scooters aren’t viewed in the most positive light by Americans, generally speaking. Additionally, I couldn’t help but question whether or not the absence of a rumbling motor between my legs would detract from the usual riding experience. We bikers love our manual transmissions and character filled engines as much as any sports car enthusiast. Still, after experiencing how electricity is improving and changing the driving experience of cars, I couldn’t help but retain high expectations for the C Evolution. For starters, the C Evolution is not a minuscule scooter in stature, like a Honda Ruckus or a Vespa. Though this is a rather big scooter, weighing in at just about 600lbs, its weight remains comparable to other larger scooters. Already, an advantage of being electric is making itself glaringly evident. Standing the C Evolution upright from its side stand is largely effortless. The weight is so low that it feels as if it weighs only a mere fraction of its actual weight. 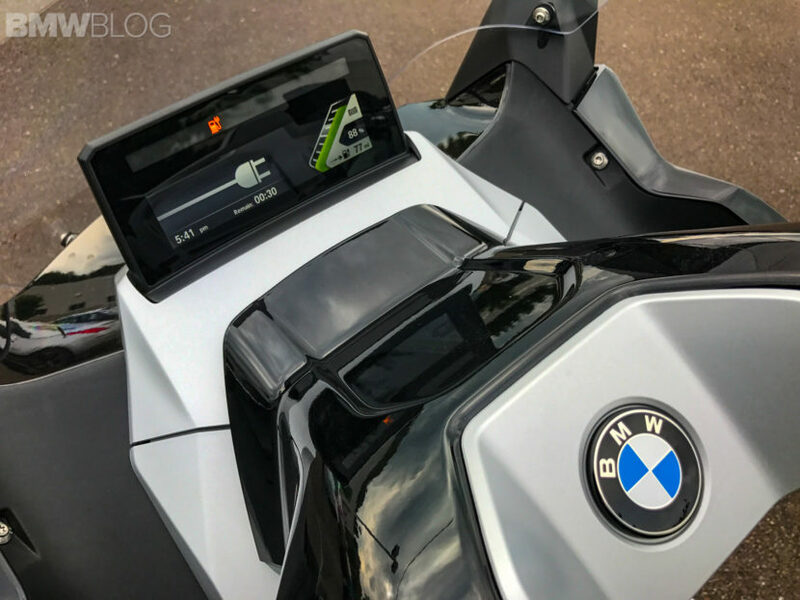 Still, it weighs what it weighs and moving it around manually could prove to be a little difficult, that is if BMW hadn’t already thought of that and added a reverse function. Let me not get ahead of myself, though. 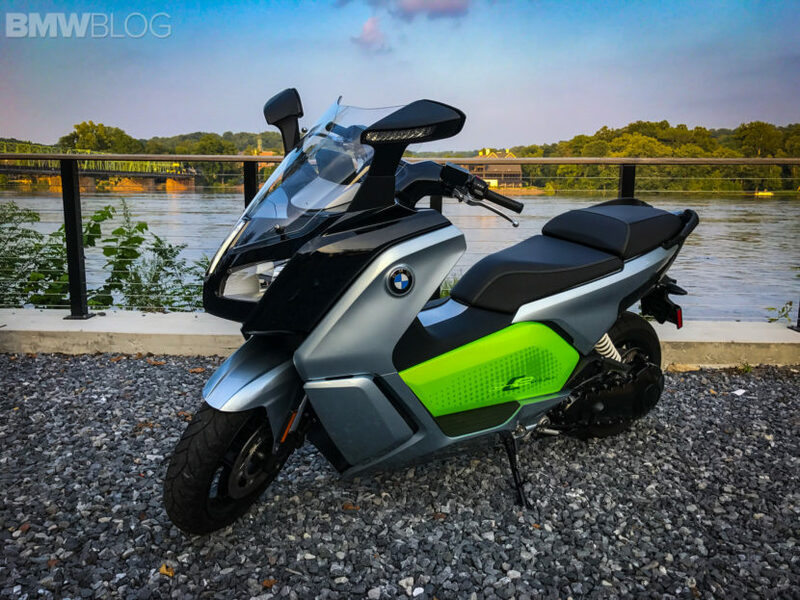 Aesthetically, the C Evolution shares a strong familial resemblance with BMW Motorrad’s other maxi-scooters. Its silhouette in particular. It does have, however, some very unique design elements as well, which make it easily distinguishable from its relatives. Up front, it adorns an led strip between the symmetrically balanced headlights, accentuating its overall modern design. 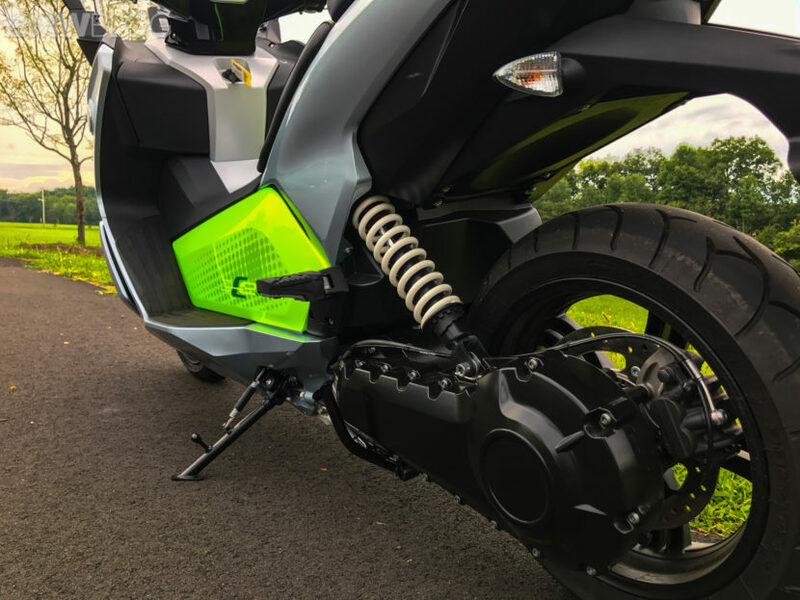 Along the sides are fluorescent green panels with the “C Evolution” name emblazoned upon them, which strongly conveys that it is indeed electric to onlookers. Although, nothing may convey that quite as clearly as the absence of an exhaust. 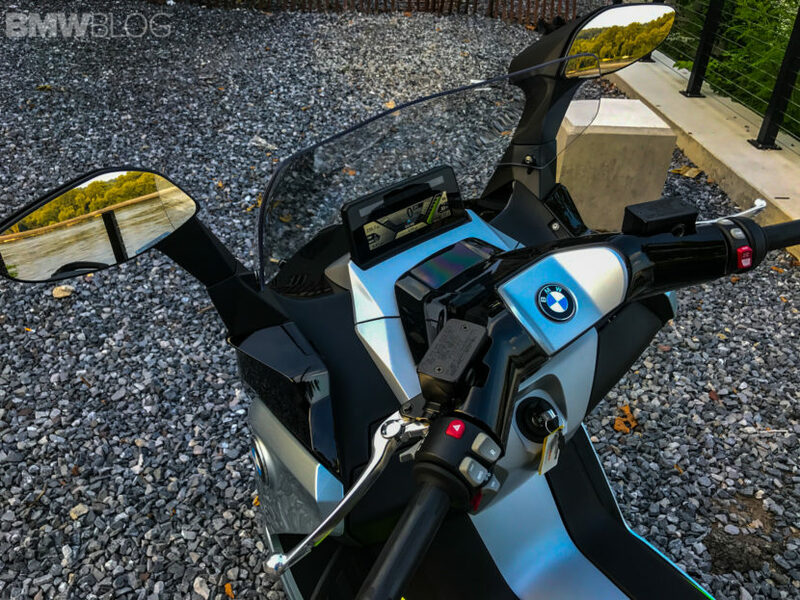 Thanks to that and the use of a very characteristic BMW feature, a single sided swing arm, you can really appreciate the simplicity. The entire right side of the rim is exposed, making quite a dramatic appearance. Other premium cues, like the led mirror integrated turn signals and full color digital display cannot go unnoticed either. When you turn on that modern TFT display, you gain access to an almost overwhelming plethora of information. 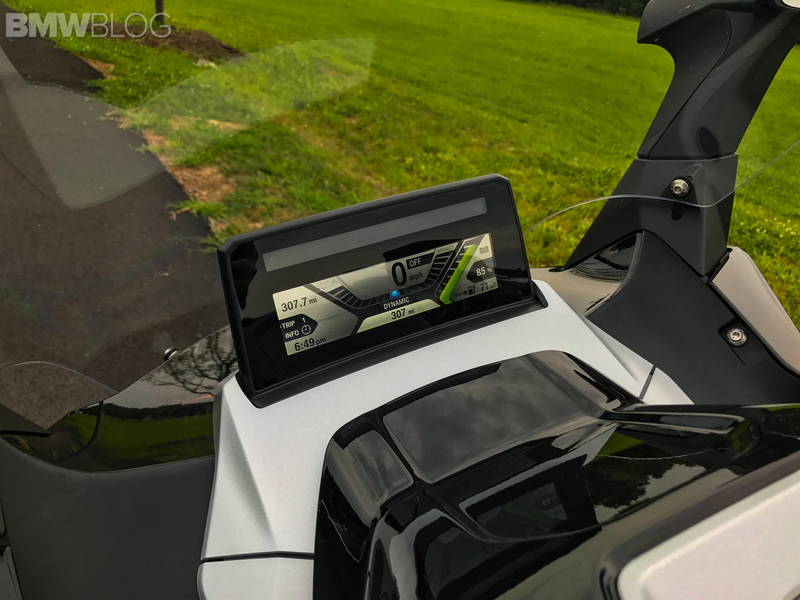 However, BMW’s design team clearly placed a strong emphasis on ensuring that all of the information is very easily legible. In addition to the primary information, there are numerous additional datums you can access and display to the left side of the screen. Changing your information preferences on the go is very simple and intuitive with the use of a button placed near the left handle bar. One thing that I really enjoyed but that is very unusual for a two wheeled vehicle to incorporate into its display was the energy balance. Much like the one you’d find in a modern BMW car, the bar shows you when you are consuming and when you are recuperating energy. Of course, the screen also displays your riding mode. Your four possible modes are Sail, Road, Dynamic and Eco-Pro. I’ll talk a little bit later about the different modes in greater depth and discuss the variation in performance and efficiency. That the C Evolution is a scooter means that it has tons of cargo space, as well. 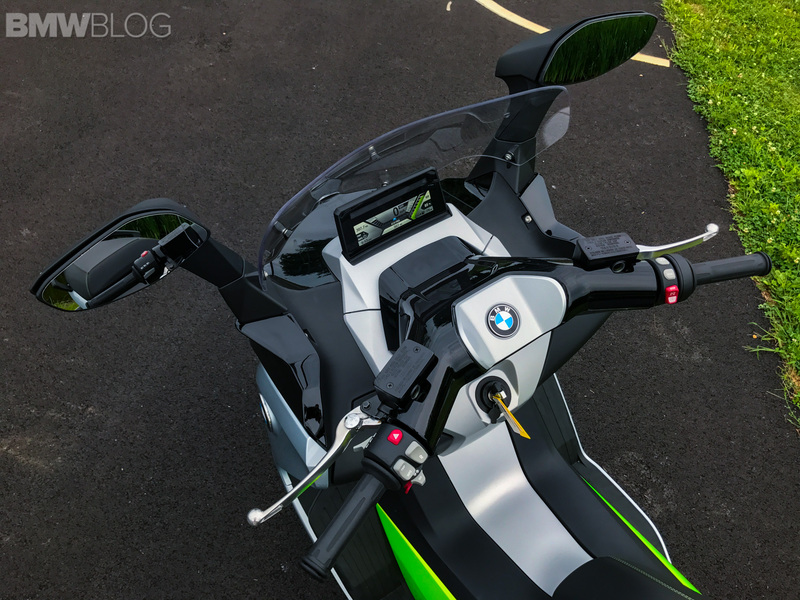 Even if it is lesser than the space in BMW’s C 650 GT ICE scooter. Near where your knees would rest while riding are two compartments. The one to the left houses the charging port but the one to right is akin to a glove compartment. You can fit a Gatorade in there, and it’s quite spacious for something smaller like a water bottle. The large cargo space, however, lies beneath the passenger seat. 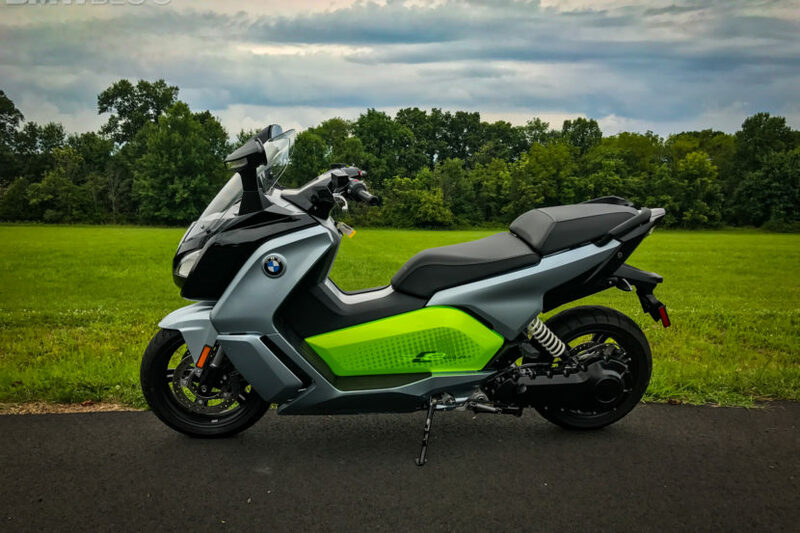 Perfectly sized and contoured to fit a helmet, with some extra room for the owner’s manual, registration and insurance info, it is also more than accommodating for a large bag of groceries. Beneath the seat itself, you’ll also find some tools. Actually starting the C Evolution is very familiar because it has the same start/stop button that you’d find on many modern Beamers. Depressing that button and pulling the brake lever inward does the trick, and then you know that you’re ready to go. Not because there is an audible indication, but because there is an indication on the display. There has to be because it “idles” silently. Putting the kickstand down will revert it back to being in what I’d consider to be a standby mode, requiring you to repeat that very brief start up procedure. It also engages the parking brake. On the left side of the handlebar, near the aforementioned information button, is also where the reverse button is located. Let me start by saying that I absolutely love the reverse function. In fact, it’s better than any other motorcycle’s reverse that I’ve ever tested. I’ll explain why. Usually it’s an electric reverse fitted to a gas vehicle, with little ability to control the speed. Just on and off, like a light switch. The only way to attempt to modulate the speed is to press the button and release it again before gaining too much speed, which can result in very jarring reversing. With the C Evolution, the experience is completely different. Whilst at a standstill, you simply press and hold the “R” button, and rotate the throttle. You can very easily modulate the speed this way, and the overall function is extremely well executed. Undoubtedly the benchmark against which all others should be compared. Now let’s talk about moving forward. About time. The C Evolution may only generate 48hp, but it also generates 53lb-ft of torque. That torque and particularly the immediacy in which it is accessible provides a phenomenal and seemingly unrelenting acceleration sensation. 0 to 30 miles per hour, which is the usual measurement used for scooters, comes in just 2.8 seconds. I promise you, it feels significantly faster than that. 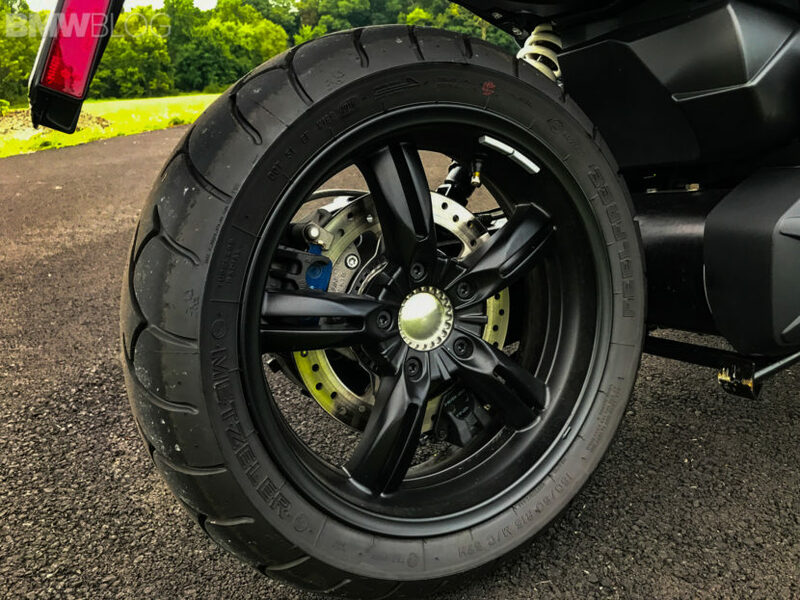 Never does it feel like it is going to cause the front wheel to lift completely from the ground, however, thanks to the Torque Control Assist system. Beyond that, it continues to keep pulling with gusto. Without having to change gears, the power doesn’t let up. That sensation becomes addictive. Seriously, it’s very satisfying. Especially since the power is so accessible and can be used so often, at speeds that don’t require you to gamble with your driver’s license. Yet, at the same time, it’s an absolute pleasure to ride at otherwise frustratingly low speeds. Without a traditional engine, there is absolutely zero perceptible heat in even the worst traffic conditions, even on disgustingly hot days. In heavier traffic, I almost always used the Eco-Pro mode, which as you’ve probably guessed maximizes efficiency. Even though it also lowers your top speed and decreases performance, it truly has enough power that it is adequate for most riding in general. What I particularly love about Eco-Pro mode is the strong regenerative braking. So you’re reducing wear on your brakes and rotors, whilst restoring range. It is so strong that you can rather quickly stop the vehicle completely without ever even using the brakes at all. Oftentimes, I found myself having to make a concerted effort to pull in the brake lever after stopping if a vehicle was approaching behind me just to illuminate the brake light. The super bright brake light. A step up from Eco-Pro is Road. I think I used Road maybe 4 times during the few weeks that I had the scooter to review. It just felt like a compromised mode all around. Therefore, it’s also very balanced, but not particularly excelling in any single regard. For the highway, you have Sail mode. Sail almost entirely eliminates the regenerative braking, which is ideal for traveling for sustained periods of time at speed. Obviously, highway speeds for an extended period will significantly reduce range, but I often witnessed that I could regain most of the lost range once resuming normal road use, in Eco-Pro mode. As an aside, the wind protection and even the standard windshield are very conducive to brief but frequent highway use. When range is unimportant, and sportiness is the aim, Dynamic mode is the appropriate selection. Performance is the focus here, and it doesn’t disappoint. Even in Dynamic mode, depending on the frequency in which you’re coming to a stop or heavily decelerating, the drain on the range isn’t exactly egregious. Regenerative braking is strong in this mode, as well, which is my personal preference. You’ve likely heard others discuss and maybe you yourself have experienced single pedal driving with electric cars. As I’ve described, this scooter shares its own equivalence of this trait. Its handling characteristics were equally as versatile. Incredibly nimble at slow speeds, again thanks to its low center of gravity. 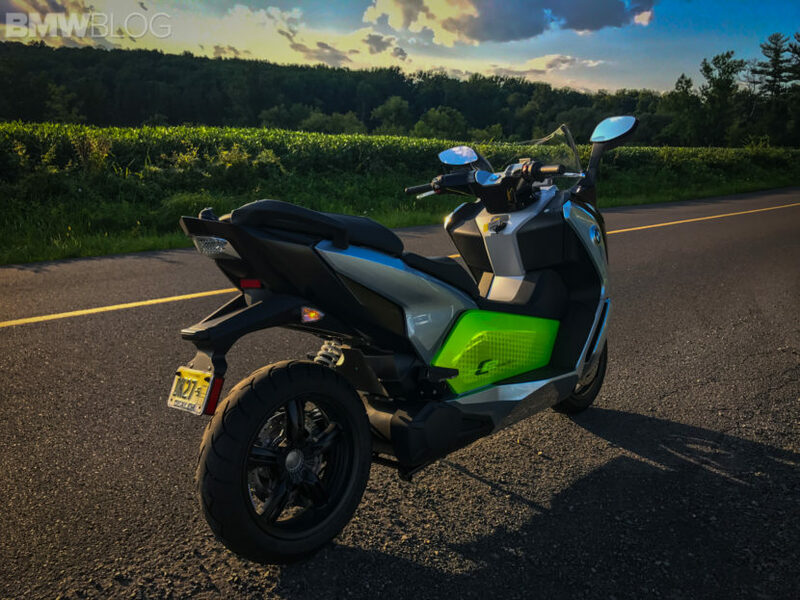 Surprisingly competent through sharper turns, during sporty riding, far exceeding my expectations for a scooter. Quite composed at speed and over road imperfections. Particularly undisturbed by the added weight of a passenger. That level of versatility is really confidence inspiring. 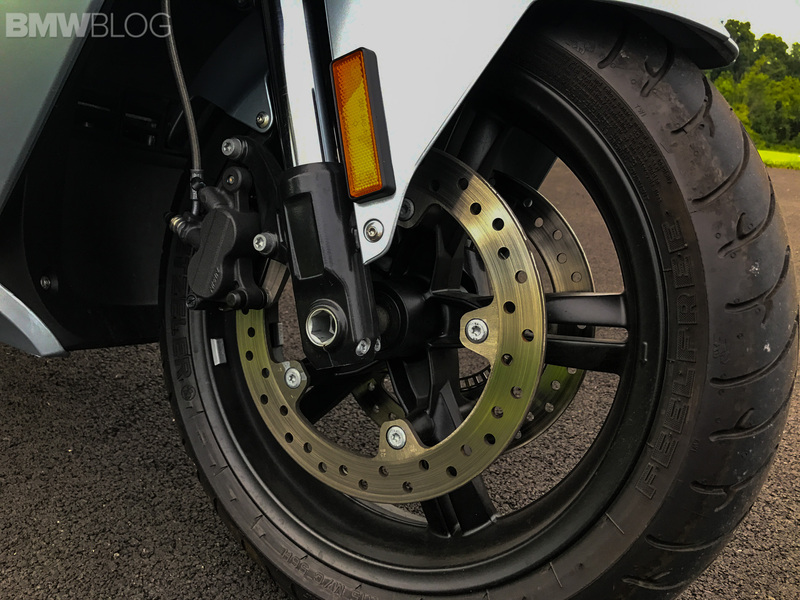 Unsurprisingly, the Metzeler tires are the perfect companion. Sharp u-turns are also a breeze thanks to its tight turning radius. As for range, the C Evolution can go up to ninety nine miles on a full charge. In my experience, that’s a very accurate range estimation. A few times, I even had the display estimate a range above that, as high as one hundred and eleven miles. I found that the range would initially decrease, depending on the aggressiveness of your use, as much as twenty five miles, but then would stabilize and hold for quite a while, as range was regenerated. The aluminum battery case serves as a structural component, and the battery itself is air-cooled. Something which I found to be especially interesting is that the battery is actually shared with BMWi’s i3 city car. The very same 94Ah unit is utilized to power the C Evolution. 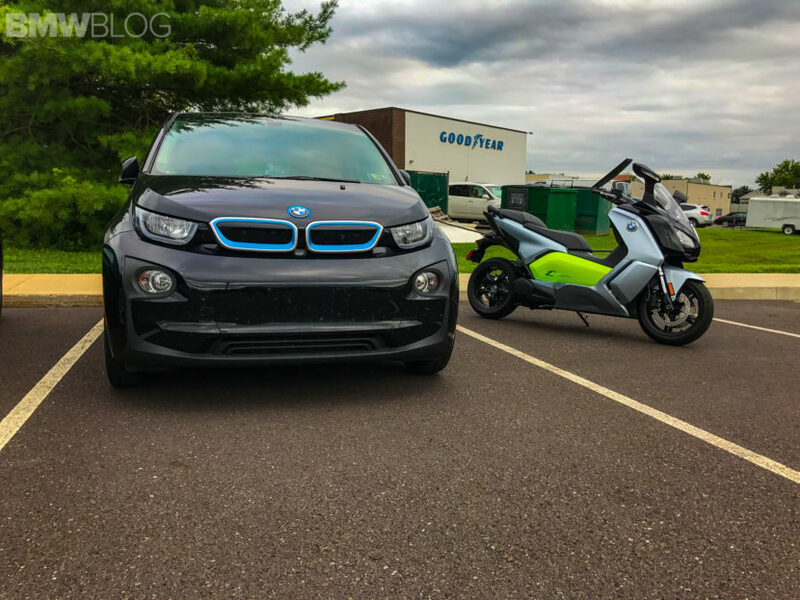 Or rather, I should now say, “was shared with the i3” because during the time in which I have been writing this review, BMWi has actually increased the i3’s battery capacity to 120Ah. Draining the battery is the fun part, surely. As with anything though, it has to be replenished. The C Evolution comes standard with a 110 volt charger, which conveniently condenses down so that you can keep it with you. The charger also has holes in its casing which can be used to more permanently fasten it to your garage’s wall, should you desire to do so. To charge fully, I found that it took roughly about eight hours. That seems like a long time, I realize but remember that’s just with the 110 volt charger. You can purchase an upgraded 220 volt charger for your home or access one of the many commercial charging stations whilst you’re away. These more powerful chargers can cut charging time dramatically. 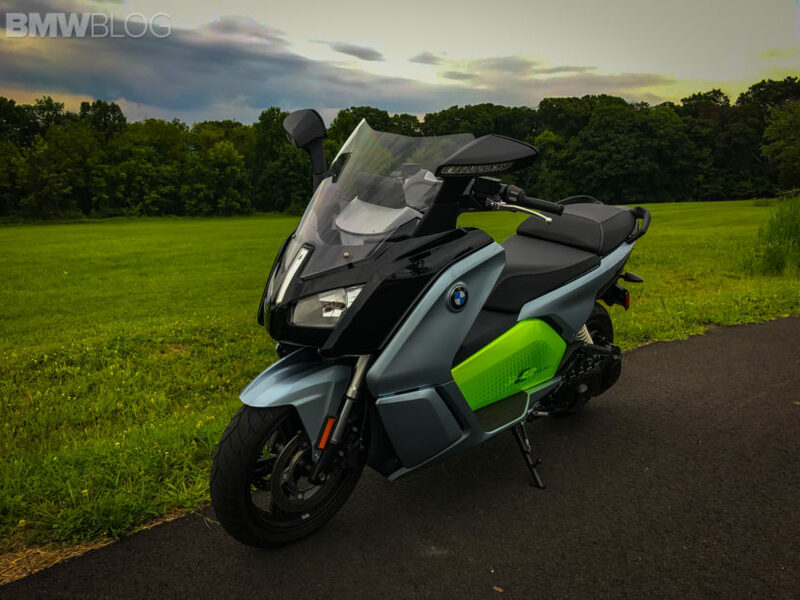 According to BMW, a 220 volt charger can recharge the battery to eighty percent in three and a half to four and a half hours. Thankfully, the charging port on the C Evolution is quite standard, enabling use of very many charging stations across the U.S.. Until actually spending an extended period of time with an electric vehicle, I hadn’t realized quite how many compatible charging stations were within a close proximity to me. For those of you whom aren’t in particularly urban areas, check out what the charging infrastructure is like near you and you’ll likely be surprised at how many there are close by. One thing that can range from therapeutic to intensely frustrating, in general, is motorcycle maintenance. Due to the C Evolution’s simplicity, there is actually quite little to maintain, relative to a traditional ICE motorcycle or scooter. It has an enclosed drive system, so there isn’t a chain to lubricate every few hundred miles. There isn’t any engine oil to change, of course. Since it doesn’t require fuel, it doesn’t need fuel additives in the winter months to prevent the fuel injectors from becoming clogged. You get the picture. Far fewer headaches. In writing this, I didn’t want to even attempt to convince anyone of the ecological considerations of going electric. Don’t think that it was unintentionally omitted. Instead, I wanted to just focus on the substance of the product and the experience of the vehicle, solely. I postulate that, at the end of the day, this is what is most likely to convince the most people to make the switch to electric propulsion. Frankly, after this experience, I feel that it’s better in every way, except for just one, than an ICE motorcycle or scooter. I realize that to many that statement may seem blasphemous. That “one way” in which I find it to not be superior is truly long distance touring. At this point in time, it just isn’t ideal for it due to range and charging times. Otherwise, it’s just better all around. I thought I’d sorely miss shifting through the gears myself, but was acutely aware of the fact that I really did not. 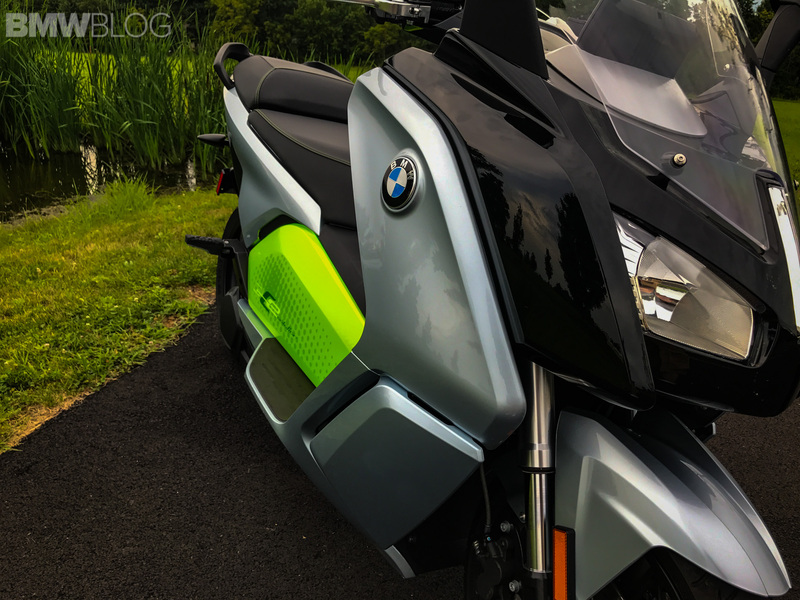 I was so nervous that the two wheeled riding experience would be unrecognizably altered by the absence of a rumbling motor, but it’s actually improved. Purer. You can’t help but think that this is the way it should have always been. The extra storage capacity, though it is not unusual for a scooter, is quite foreign to motorcyclists whom don’t have design altering external cargo compartments or saddle bags. Both, its simplicity and modernity. The versatility of being truly well suited to riding in congested traffic and open winding back roads. The stability. I’m truly smitten. For the first time, I actually want to own a scooter, as long as it’s this one. Now, to discuss the impolite, the price. The starting price here in the States for the C Evolution is $13,995. My press bike had a couple of upgrades, being the heated grips and the comfort seat. Both of which I’d strongly recommend. 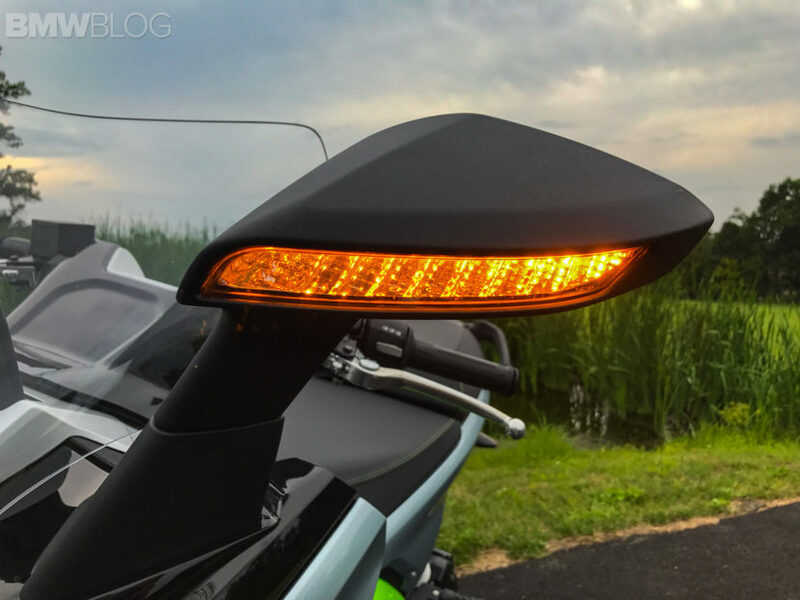 The heated grips are indispensable to anyone whom enjoys riding in less than hospitable weather. The comfort seat is just that, and combined with the C Evolution’s lack of vibration, eradicates any numbing of the, um, reproductive bits. This raised the cost to $14,885. 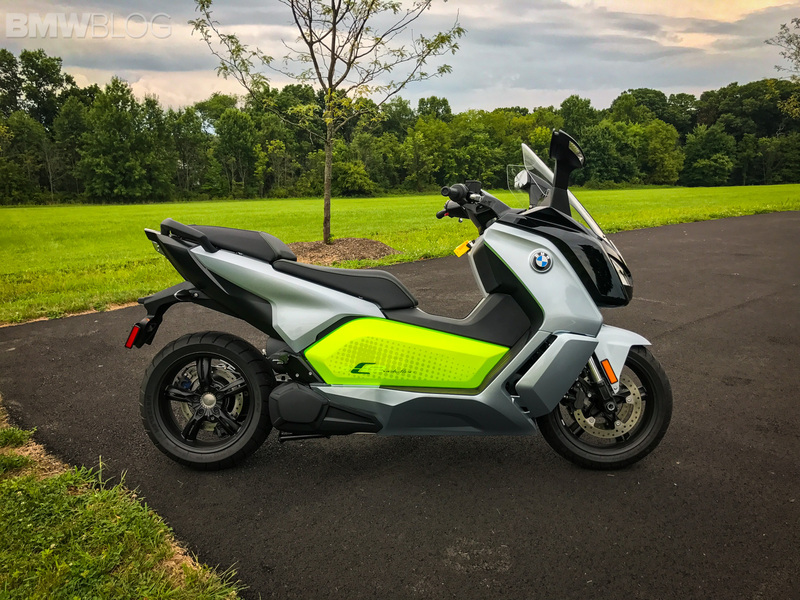 Just comparing base pricing, the C Evolution comes in at an additional $3,000 over its gas powered sibling, the C 650 GT, which starts at $10,995. Of course, there are quite a many motorcycles that you could acquire for such money. Still, judged upon its own merits, I’d happily part with the nearly $15,000 to add one to my garage.